µ-Ziq - Challenge Me Foolish. Vinyl LP, CD. Bleep. 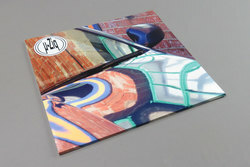 Challenge Me Foolish sees Mike Paradinas' µ-Ziq alias digging deep into his archive and giving new life to these soon to be cherished recordings circa 1998-99. Recorded around the time of his Autumnal Acid classic Royal Astronomy, released via the now-defunct Virgin subsidiary Hut records (hard to imagine these days but Richard Branson once ran a very fwd thinking record label!) and also a tour with Björk. 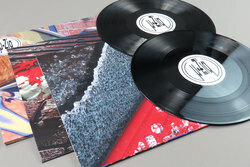 It takes on some of the times most outwardly approaching electronic music, whilst also showing glimpses of a future-proofed prediction for the following decade's forays into 2 step, dubstep, grime and footwork. While recent years have given us a fair share of archival albums from µ-Ziq (we advise checking Somerset Avenue Tracks (1992-1995) and Aberystwyth Marine after this if you are unfamiliar) Challenge Me Foolish, with its tongue in cheek title (Intelligent Dance Music anyone?) 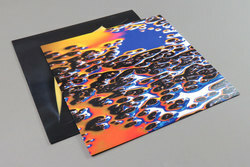 lays down the undeniably serious understanding Mike Paradinas has and always had of how to produce everything from cainin' rinse out electronica and ardkore' jungle smash em ups to soundtrack-esq voice led rollers, here recorded with Japanese vocalist Kazumi. Challenge Me Foolish may be two decades old, but for our money it's further proof if any were needed of the endless innovation of Mike Paradinas' musical output.